Description: 26 oz. 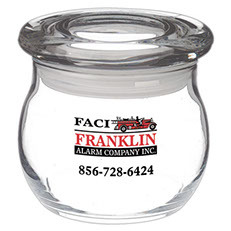 Accent Candy Jar with trendy flat lid. A bestseller of jars. 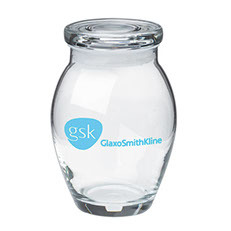 The large imprint area of this candy jar makes it a very appealing and fashionable jar. Perfect for showning off any logo. Description: 10 oz. Accent Candy Jar. A bestseller of jars. 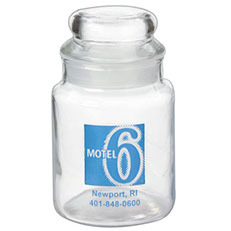 The Accent Candy Jar is a very appealing and fashionable jar. 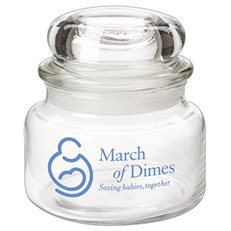 Complete the promotion by filling the jar with candy, candle wax or gel wax. Description: 16 oz. 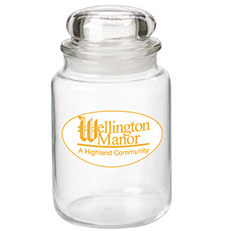 Balmoral Candy Jar w/Flat Lid. The curves of this balmoral candy jar makes it very appealing and fashionable. Description: 25 oz. Maxi Balmoral Candy Jar with Dome Lid. 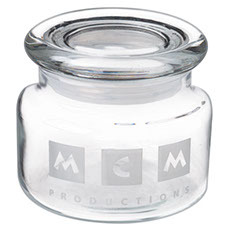 Complete the promotion by filling the jar with candy, candle wax or gel wax. Description: 25 oz. 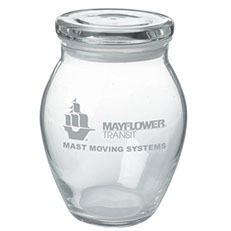 Maxi Balmoral Candy Jar with Flat Lid. Description: 8 oz. Country Kitchen Candy Jar with dome lid. The jar made famous by Yankee Candle. Description: 16 oz. Country Kitchen candy jar with dome lid. The jar made famous by Yankee Candle. Plenty of imprint area to advertise any business. Description: 26 oz. Country Kitchen candy jar with dome lid. The jar made famous by Yankee Candle. Description: 5 oz. Country Kitchen Candy Jar with dome lid. 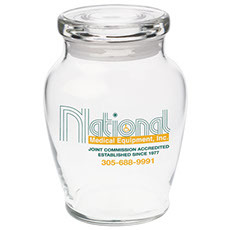 This cute little candy jar is perfect for any client / customer. Description: 17 oz. 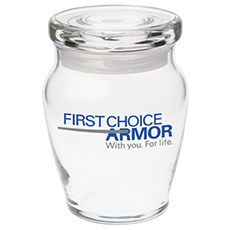 Liberty Candy Jar with a flat Lid. 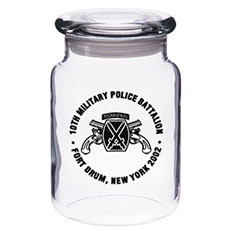 This unique new style candy jar is sure to become a bestseller of jars. Description: 18 oz. Provence, Dome Lid Candy Jar. 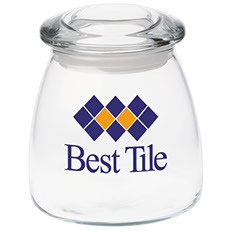 A bestseller of jars. The provence candy jar comes with a dome lid. Description: 12-1/4 oz. 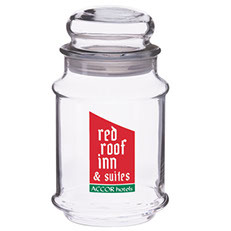 Vibe Candy Jar with a mini-dome Lid. 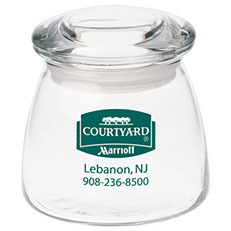 This unique new style candy jar is sure to become a bestseller of jars. Description: 27 oz. 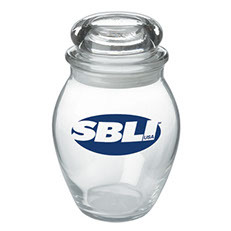 Vibe Candy Jar with a mini-dome Lid. Description: 11-3/4 oz. 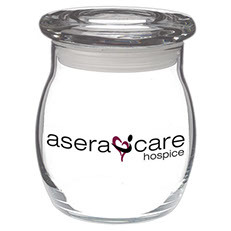 Whisper Candy Jar with Flat Lid. Description: 18-1/2 oz. 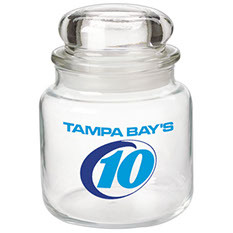 Whisper Candy Jar with Flat Lid.